Well here we are again and I can’t believe we are coming to the end of another year already! Its been an exciting year for PA in many ways and the past 12 months has seen more changes than ever before. We needed to grow organically, keeping our existing customers whilst simultaneously branching out to a more commercial market. 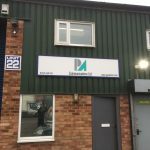 In January we secured a second premises in Leighton Buzzard’s Harmill Industrial Estate where we now run the day to day operations of the company. 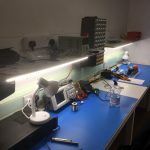 We have a modern new workshop fully equipped to carry out small electronic production runs, prototyping and musical repairs. We also have really great coffee so if you’re in the area, please stop by and say hello! We have made huge technical advances over the last 12 months and we are very close to completing the new DATIS unit for Thales ATM. We hope to run the Acceptance Test in early 2018 which will give us the green light to enter production. 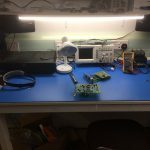 This project has presented some rather interesting challenges, namely dealing with component obsolescence and procuring its current revision which required modern coding language and PCB redesigns. We would like to say a big thank you to our PCB supplier: ScreenBond Ltd for their impeccable service and lightning turn around time. 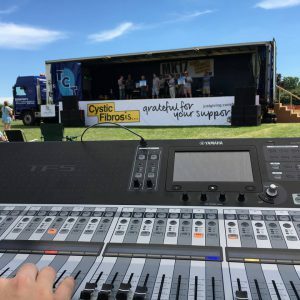 The prospect of a quiet summer became short lived when we invested into a local live audio company fronted by the sound on sound legend- Mike Crofts. Audio electronics and music is something we’re all passionate about here at PA so expanding into the sound engineering world became a very exciting opportunity. With bookings in the calendar we quickly realised we needed an extra person who had the skill set to run live sound and fit in with the PA ethos…. Please welcome to the stage… “Mary Browning”, a first degree graduate in live sound from Birmingham university! She was quickly appointed Technical Audio Manager and became our key correspondent between venues, acts and organisers. On reflection may I say she went above and beyond to make sure the events ran without a hitch and has fitted in perfectly to the PA Family. During the festival season our good friend Chris Irvine from Yamaha UK invited us to demo the TF5 console which introduced us to a host of new technology, namely Dante (Check out the Dante Blog for more info!) Rob and Mary are now level 2 qualified and are enjoying baffling people explaining multicast audio over a single ethernet cable! We’d fully recommend the TF5 as a digital console, sturdy, diverse and very easy to set up! With the summer booked up and Mary managing the live sound Rob was recommended (thanks Mike!) 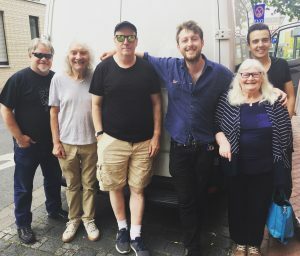 to engineer on a months tour around Europe with guitar legend Albert Lee and band! Rob completed his first tour in May and was then asked back again to complete a second months tour in October. We think they like him as there’s more dates in the diary for next years tours so stay tuned! So there we have it, 2017 nearly over we are very much looking forward to a break and ready to jump straight into 2018 with a slightly different mission- Further Expansion! We are breaking up for Christmas this week on the 22nd Dec 2017 and return on the 8th Jan 2018. 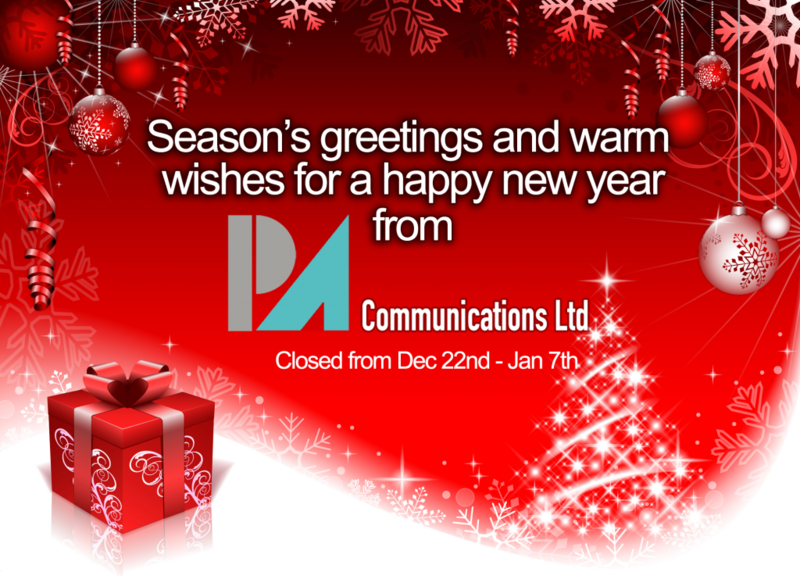 So that just leaves me to wish you a very merry Christmas and a happy new year from all of us at PA.